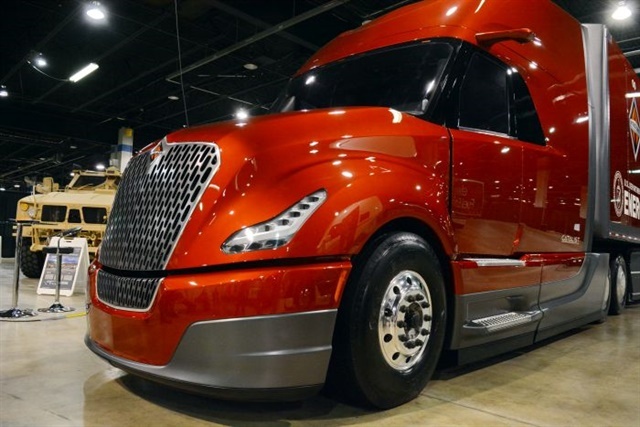 The unveiling of Navistar’s SuperTruck in late September completes the first round of the Department of Energy’s fuel efficiency improvement demonstration project. Like the three others before it, Navistar’s truck, dubbed CatalIST, exceeded the DOE’s goals and provides possibilities for actual operations. 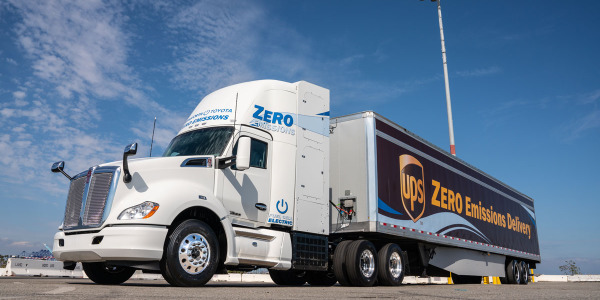 CatalIST achieved a freight efficiency improvement of 104% compared to the baseline vehicle (a 2009 ProStar-powered rig). Its engine achieved brake thermal efficiency of 50.5%, and 13 mpg in real-world over-the-road and urban duty-cycle test runs. Aerodynamics played a huge role, while advanced technology such as kinetic energy recovery, off-engine accessory drives, variable-speed compressors, and lightweighting shared the rest of the glory. 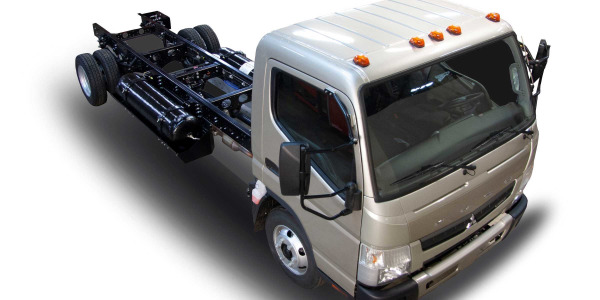 Navistar also brought some clever solutions to traditional problems that seem unique among the four SuperTruck projects. 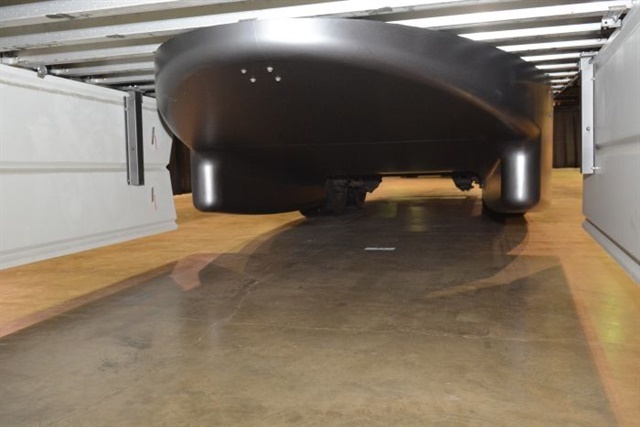 Engineers got closer to the highly desirable teardrop shape by lowering the ride height of the the trailer suspension and the Hendrickson air-over-spring steer axle suspension, giving the vehicle an airfoil-like top profile. 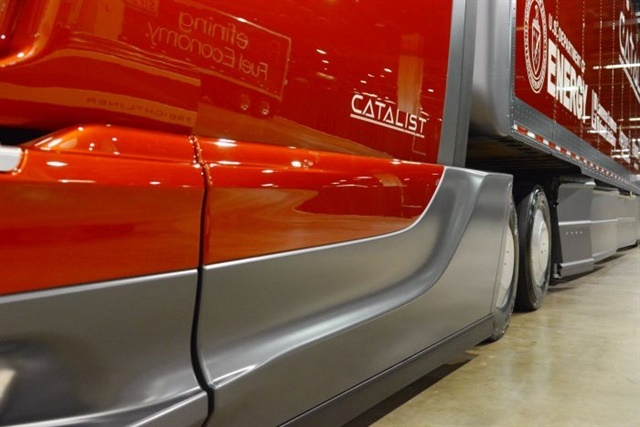 The trailer features nose treatment and Wabash’s Ventix Drag Reduction system, essentially vented side skirts. There is also a fairing in front of the trailer bogie. Additionally, the tractor’s windshield is highly raked and curved and side fairings on the tractor are highly sculpted. Overall, the aero treatments yielded a 50% reduction in aero drag compared to the baseline unit. For weight reduction, engineers managed to carve 2,700 pounds off the tractor and 1,900 pounds from the trailer. 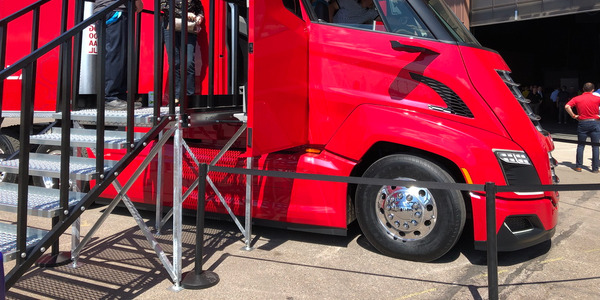 Some weight went back on for the aero kit, but the net weight reduction was about 3,500 pounds for a calculated 10% improvement in freight efficiency through increased payload potential. Sculpted tractor fairings smooth the transition over the drive wheels, while the vented skirts save weight and maintenance. 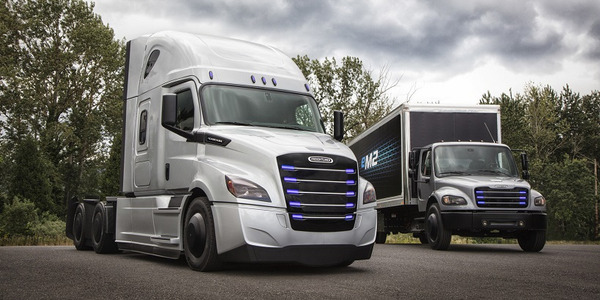 Navistar made wide use of kinetic energy recovery and off-engine accessory drives to reduce or eliminate load on the engine. The air compressor, for example, is clutched and runs only when the truck is not under power, such as when braking or coasting. The clutch engages any time air pressure is below 120 psi so the reservoirs remain topped up. 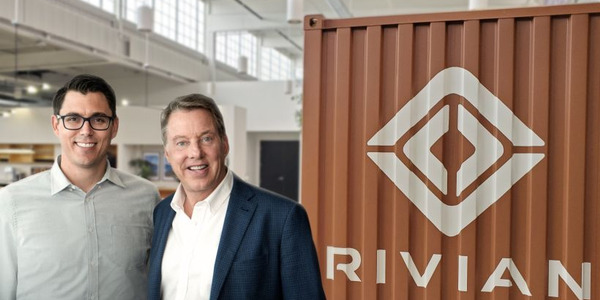 Oppermann says the GPS-based predictive cruise control’s 3-mile look-ahead capability constantly searches for opportunities to engage the compressor. It also harvests energy through an engine-mounted 15-kilowatt generator that powers a bank of 48-volt batteries. Those are linked with a three-voltage bus for specific purposes. 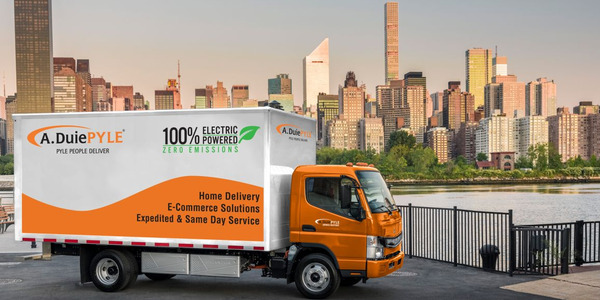 There’s a 48-volt bus for charging and energy storage, a 12-volt bus that powers lights, radio, and other accessories, and a 24-volt starting system using a super-capacitor and a 24-volt cranking motor. The truck’s engine shuts off when the vehicle is stopped at a red light, but restarts the moment the throttle is applied. The big, lightweight super-capacitor releases a lot of energy for each start and recharges quickly. The trailer bogey fairing nearly takes the trailer tandems out of the aerodynamic drag equation. 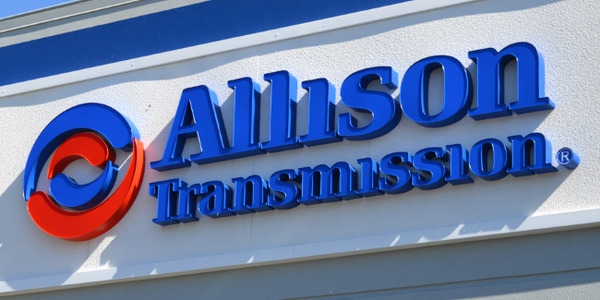 The truck has a lot of extra electrical energy available, so it’s put to work driving things like the 48-volt air conditioning compressor and two 48-volt fans mounted ahead of the A/C condenser. That eliminates some engine load, weight and complexity. There are two evaporator units, one for the cab, the other for the sleeper. With the lighter cooling load from the sleeper alone, the HVAC system can run efficiently all night on the energy recouped during the previous day’s operation. The tractor is a 6x2 with a tag axle, and the suspension has two-way load-biasing capability. 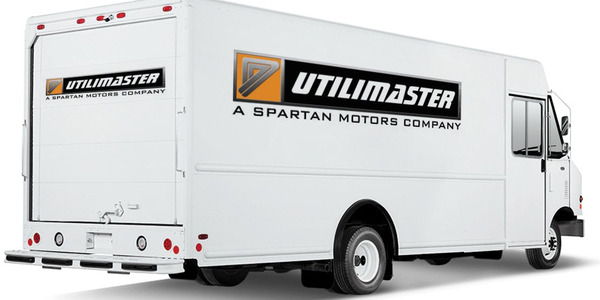 It automatically shifts weight to the single driven axle by adding pressure to its air springs at launch or whenever it senses the need for more traction. At highway speeds, more weight is shifted to the tag axle because those tires are rib types which have lower rolling resistance than a traction tire. 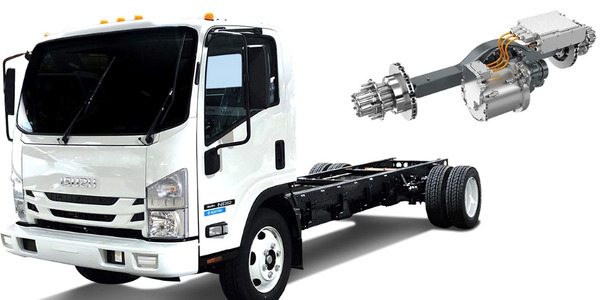 The Dana drive axle’s ratio is a very tall 1.91:1. That’s coupled to a direct drive transmission, for an engine speed of 1,050 rpm at 65 mph. There, only 75 hp is required to move the rig on flat highways. CatalIST’s engine cooling system is pressurized significantly higher than the 15-25 psi we see in normal trucks. This permits higher coolant temperatures without localized boiling. That’s good for durability, but higher operating temperatures (210-220 degrees) also improve engine efficiency and almost eliminate fan-on time. “Predictive cruise pitches in here to optimize cooling needs when climbing a hill by ‘preconditioning’ the engine, by speeding up the water pump to cool the engine to a lower temp before the big power demand begins,” Oppermann explains. 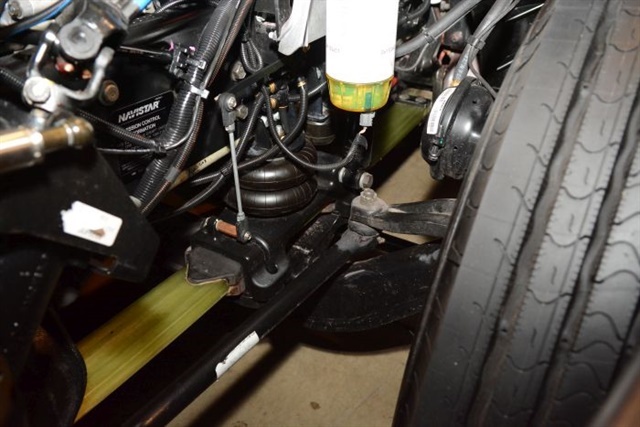 An air-over-composite-spring front suspension allows for a lower ride height at highway speed while maintaining roll stiffness. The 475-hp, 1,850 lb-ft, N13 engine has a prototype exhaust-heat recovery system using ethanol as the working fluid. But low power demands at cruise does not generate a lot of engine and exhaust heat to reuse. “In the test cell we have seen between 1% and 2% fuel economy improvement out of a WHR system, but in a real-life road application there’s not a lot of heat to recover.” Engineers managed 50.3% thermal efficiency with waste-heat recovery while their baseline diesel was 42.5%. Thermal efficiency without WHR was still 49.5%. So there’s a lot of complex technology for an improvement of just 0.8%.